*If tickets are sold out in advance, same-day tickets are not available. Popular bands and hip artists such as Ketsumeishi, Mongol 800, The Cro-Magnons, Kariyushi 58 and 10-Feet will perform at the annual rock festival on Miyako Island. 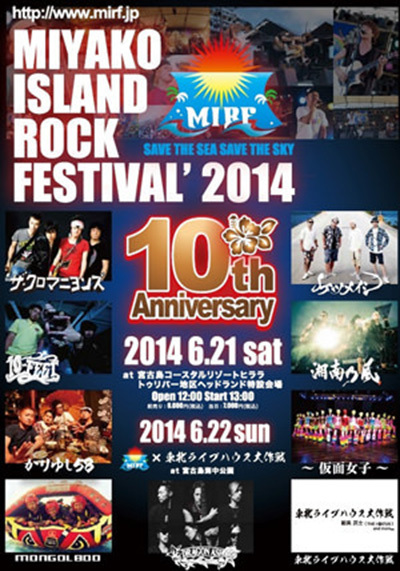 The rock festival is a special welcome to the start of the summer season.